This ancient saying literally means that during the time of our destruction, we go against our intelligence and perform self-destructive actions. What else can explain the actions of the current Congress government led by the 'shadow' Prime Minister Manmohan Singh? A ‘Shadow' PM because by now it has been proven beyond any reasonable doubt and based on all available empirical evidence that he is a puppet propped up by the Gandhi family and reacts to their beck and call. Does the current PM have any understanding of science or technology – leave alone the complicated workings of the nuclear energy industry. After all, he is a trained Economist - a career bureaucrat - and has made it up through the ranks to have become the Governor of the Reserve Bank of India at the pinnacle of his illustrious career. It may not be incorrect to infer that Dr. Singh understands the color of money best. Beyond that, he has shown himself either incapable, inept or mostly unwilling/unable to grasp issues beyond this limited grasp. Is the Congress party, Manmohan Singh, all the IAS officers, the Gandhi family, the US government establishment and the collective corporates all over the globe so crazy to be pushing for the nuclear agenda despite huge opposition to the dilution of the CLND Act in India? What is the agenda? Just a couple of days back (Sept 21 st 2013), Sonia Gandhi and Manmohan Singh laid the foundation stone for building the World's Largest Solar Power Project near Jaipur in Rajasthan, Western India. The first phase will generate 1000MW electricity and hold your breath, it will be commissioned in THREE years' time. Compare this with the construction time for building a 1000MW Nuclear Power Plant (NPP) which takes TEN years on an average globally. The lesser said about the delays and huge cost-over runs in India the better. Koodankulam was conceived in 1988 and even after 25 odd years, it is still to deliver a single MW of electricity. This despite the thousands of crores pumped into it, court cases, lies and half-truths, military actions, curfews and all methods of repressing the local people by the State and Central governments. So, it is well established from the above fact that the Indian government and MMS are well aware of the benefits of renewable energy and the scope for quickly ramping up India's electricity generation compared to nuclear energy. Then why this urgency by the Congress party to amend existing Nuclear Liability Laws to suit the Americans? 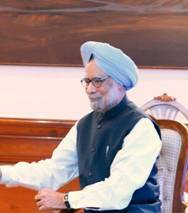 When Manmohan Singh was crowned as the Prime Minister of India in the mid 1990's, he was at the peak of his career having just finished a distinguished career as an economist which led to the Governorship of the Reserve Bank of India – the highest position possible in India. Besides this, he was being widely being acclaimed as the hero of the India by the industry and capitalists (just as they are rooting for Narendra Modi now). Whatever he did was apparently correct and for the long-term good of the nation. “Singh is King” was the cry then. Among all this, MMS had a pet project – Nuclear energy (and probably weapons - he is still an extremely pro nukes person.) India had been an international pariah since the 1998 Pokhran underground nuclear testing and desperately needed fuel for its existing reactors plus technology and spares to complete its existing plans. This despite the strident cries from NPCIL, DAE and BARC that India has its own indigenous technology and is not dependent on foreign suppliers. This was patently untrue, and this drew Manmohan Singh to signing the Indo-US Civil Nuclear Agreement deal in 2008. The deal allowed US firms to supply technology (reactors), spares and fuel to India and would pave the way for India to be removed from the nuclear blacklisted nations category. The value of the nuclear deal was put at US$ 150 billion in business for the American corporation in addition to huge number of jobs created in US. The deal was vehemently opposed by the Indian opposition parties in the parliament and outside. Eventually when there was a parliamentary vote on this, it was revealed that huge sums of money had been given to opposing Members of the Parliament to vote in favor of the deal. In this manner, the Indo-US accord was somehow sealed and rammed down the throats of unwilling Indians who saw it as an abject sellout to the US. On India's part, it had successfully bargained to continue with its dual-use technology program (nuclear energy + nuclear weapons) India would only selectively allow independent IAEA inspections at sites of its choice (keeping the military use sites out of bounds for such international supervisions), India would not ratify the Nuclear Non-Proliferation Treaty (NPT) and would become a member country within the Nuclear Suppliers Group (NSG) thus gaining access to uranium fuel among other benefits. Obviously, all this did not come cheap. The Americans drove a hard bargain by getting India to commit part of its huge nuclear potential to US corporations – notably GE and Westinghouse. Besides making all the above concessions, reportedly the Americans had a hand (or were aware of) the huge “cash for vote” scandal which rocked the Parliament during the vote according to the Wikileaks tapes expose in 2011. Manmohan Singh has always looked at the Indo US nuclear deal as the crowning glory of his career and has said so publicly and during interviews. In his second stint as the Prime Minister of India, things went downhill rapidly. The crony capitalists, industrialists, foreign companies, politicians and bureaucrats had formed a well-oiled system of brazen bribery for their own pernicious gains running into thousands of crores of rupees. Everything in the country was up for grabs provided the bribe was right. So, scams and scandals involving everything from underground mines to over-ground forests to airwaves erupted one after another and the needle of suspicion was increasing pointing toward the Prime Minister. Whether he himself accepted part of the bribe is unknown, but the fact that all this happened under his nose, on his guard and by people who were close to him sullied his image badly. He seemed incapable of decision making and increasingly it became an accepted fact that the Congress High Command members led by the Gandhi family were calling the shots from behind the scenes. Words such as “puppy”, “poodle” and “puppet” became metaphors to describe Manmohan Singh who was once supremely confident and strong. His position and influence rapidly went downhill in the government as well as in governance. VINAASH KALE, VIPREET BUDDHI i.e. during the time of our destruction, we go against our intelligence. Scams after scans were uncovered and skeletons tumbled out of cupboards, the courts repeatedly rapped the government for its inaction and shielding the guilty. Yet, Manmohan doggedly supported his close colleagues who were charged with serious economic offences at times even openly defending the outright guilty or somehow managing to get confidential files and evidence mysteriously disappear. BUT WHY THIS URGENCY NOW??? Let us analyze the sudden urgency demonstrated by both sides in the backdrop of the above situation in which Manmohan Singh and by extension the Congress party and India are trapped into now. 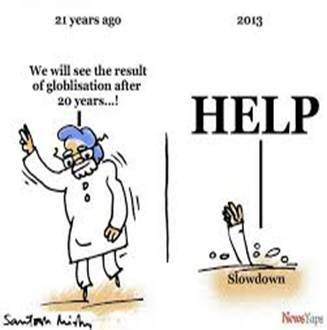 Manmohan Singh is literally caught between a rock and a hard place with little room to maneuver. He made a commitment in 2008 when the 123 agreement was signed by offering the 150 billion dollar carrot to the US. Swayed by this huge deal, the US administration and politicians - in a rare show of unity - passed the Hyde Act with a huge majority in the US Senate. After all, the deal was tilted in the favor of the US. India was already a nuclear weapons state and not admitting to this fact would mean that US corporations would lose billions in profits besides the “loss” of jobs for local Americans. Ethics be damned as long a money talks and so the US amended its laws to make an exception for India. So far, so good. However, things turned sour when India passed the Civil Liability for Nuclear Damages (CLND) Act in 2010 owing to pressure from opposition, environmental groups and public at large. To the horror of the Americans, they found that they had been literally taken for a ride. The CLND Act proposed making the foreign suppliers liable for any accident resulting from faults and failures of equipment by the suppliers. As this damage can be unlimited, nuclear suppliers – despite making huge profits – cannot get access to third party insurance. The Indian Act makes them open to bankruptcy if things fail as the consequential damages would be too large to be covered. The Russians took cover under an Inter Government Treaty (IGT) signed for the Koodankulam project in 1988 by claiming that the IGT was signed prior to CLND and hence was not applicable for them. The French are throwing intermittent tantrums about the “stringency” of CLND and also keeping hopes alive by remarking that “they will respect Indian Laws”. But for the Americans, this was a huge loss for its top nuclear companies – a virtual back stab . Incidentally, GE and Westinghouse are two of the largest contributors to both - the Democrats as well as the Republicans - for their campaign funds. These funds run into hundreds of millions and go into lobbying (read “buying”) support of these Congressmen and Senate members to vote in favor for these companies. Without access to this corporate funding, it will be impossible for US politicians to win elections in a country where even state level elections cost a bomb to win. In fact it is said that Big Tobacco, Big Oil, Big Pharma and Big Defense (including nuclear) can make or break the Presidential elections in the US because these corporations have the financial muscle to change policy at the highest level. Under pressure from the US government (which in turn was under pressure by the nuclear lobby), the Congress government in India tried to push in amendments to the 2010 CLND Act by formulating new Rules in 2011 which virtually made the original Act toothless and gave a backdoor entry to foreign suppliers by capping the limits and tenure of any liability. Civil society, lawyers and environmental groups were immediately up in arms against this sleight of hand and soon the principal opposition parties seized on this opportunity to stall the passage of the Bill in parliament. In the end, the Bill was referred to the lower house of an all-party parliamentary Standing Committee for scrutiny which rejected the Bill unanimously. Now, chastened by the people, environmentalists, civil rights groups and opposition parties, the going was getting tougher for the ruling Congress party. The situation on the ground was getting worse each week with scams and scandals running in hundreds of thousands of crores being routinely exposed in media. The media scanner, Supreme Court strictures, Activism by civil society members who were making full use of the Right to Information (RTI) led to a virtual paralysis in the policy making of the UPA-2 regime. Decisions were kept on indefinite hold for fear of being pulled up for impropriety years after retirement, the fear of the Supreme court hauling them to Tihar jail meant that new project approvals or expansion plans went into indefinite cold storage. The Indian economy which had been chugging along at close to double digit growth started slowing down to less than 5% accompanied by hyperinflation which has been officially ruling at about 10% over the past year but is unofficially in the range of 25-30% making the incumbent government unpopular among the middle class masses. Crony capitalism meanwhile had meant that over the “golden” initial years of the UPA, a select set of people (along with their close aides and partners) had learnt the ropes of bagging lucrative contracts using political contacts and bribes. To make good these “expenses”, these industrialists were allowed to loot and plunder the natural resources (water, forests, agriculture, rivers etc.) as well as exploit the tribals and the poor while the government and administration turned a blind eye to all the illegalities. Resentment towards the Congress has reached such a level that the body languages of the party leaders (and various polls) show that the Congress will lose the elections slated for early 2014. For the Americans, this means that they would have to deal with the next party which wins the elections. While theoretically, the principal opposition party (the right wing BJP) or a Left led Third Front can come to power; in all probability, the BJP has a very strong chance of winning at the hustings. The US and the foreign companies would like to extract their pound of flesh from the Congress for the 2008 commitments made by India before the elections are announced somewhere by late 2013. 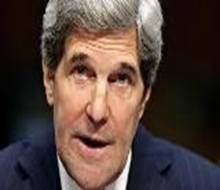 In fact John Kerry on his India visit in June 2013 practically gave a ultimatum to the Indian government to sort out the Liability issue by September. The timing of this ultimatum cannot be missed given the fact that once the Elections are announced and the Indian Election Commissions Code of Conduct sets in after which the government cannot make any major or even minor policy changes. While there is no question of ethics among politicians (more so among the Indian lot), the US will find it far easier to turn the screws on Manmohan Singhs government which is tottering at this point of time rather than a rejuvenated BJP. The US administration does not have any love lost for the BJP. It has consistently denied a US visa to Narendra Modi (who is the official BJP candidate for Prime Minister ship if the party wins in 2014) due to his alleged complicity in the 2004 Gujarat communal violence. Given his hard line aggressive behavior Modi would surely use any tactics to shame the US in the same manner in which he felt insulted by the visa denials and seek revenge by not signing any deals with them– at least for a while. The BJP publicly portrays an anti-liability dilution stand, but privately they are very much pro nuke - especially on the weapons and energy agenda. There are reports that the BJP is working closely with NPCIL to acquire farmers land for the Westinghouse-Toshiba nuclear park at Mithi Virdi in Gujarat. Drumming up anti Pakistan support has already begun and the jingoistic language will only continue in the run up to elections. For the BJP, the “Bomb” is a symbol of Indian Nationalism and that was displayed by its public outpouring after the 1998 Pokhran tests by the BJP government. Nuclear weapons need Plutonium and Plutonium can come from the civil nuclear reactors which have been kept outside of international inspections under the Undo-US accord. A rough estimate shows that using only these 8 out of the 20 reactors in India, the country can manufacture over 2000 nuclear weapons in a reasonably quick time. This is the reason why India wants to rapidly ramp up its civil nuclear energy. For the jingoists in the military-industrial complex this is a huge opportunity for making even more money and to wield more power. As they say, ‘A known devil is always better than an unknown angel' and ‘It is easy to kick a man who is already down.' That is called as real politick and all the parties involved here are intensely aware of each other's strengths and weaknesses. The Congress - struggling with all its problems - knows well enough that if the US turns the screws on India, the economy can (and will) collapse in a jiffy. While the US may have had its own set of economic problems; it is still strong enough to easily upset and destabilize the Indian economy for a short to medium period of time. The Indian economy is hugely dependent on Foreign Institutional Investors (FII) funds running into billions and trillions of dollars - commonly referred to as “hot money” as it can be suddenly withdrawn from a foreign country. If the US does so, the Indian Stock market will collapse taking along with it the already beleaguered manufacturing and services industries which are already tottering at 4-5% growth rates. Jobs will vanish due to the slowdown and the rupee will be under immense pressure. The Indian Current Account Deficit (CAD) is already too high, international scenarios are changing on an almost daily basis resulting in huge fluctuations in the crude oil prices – the single biggest factor influencing the rupee and inflation in India. In fact, one wonders if the sudden fall in the Indian Rupee recently was a trailer which the US showed the Manmohan Singh government about what can happen if India does not toe the American line. The BIGGEST impact of all this will be on the public sentiment which will turn negative towards the ruling Congress regime resulting in an anti-incumbency vote while the fence sitters will hitch onto the “pro industry” BJP-Modi bandwagon ditching the Congress. 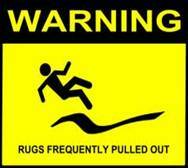 All said and done, it is extremely easy to pull the rug from beneath the Congresses' feet. On the other hand, if the Congress does indeed offer a backdoor entry to the US nuclear club, then the US can further sweeten the deal by offering some carrots to India. One such carrot was the rumored supply of extremely cheap US natural gas to India at very favorable terms. The shale gas boom in the US has resulted in unimaginable low prices of natural gas which is now available in excess for the US domestic consumption. This deal will immediately reduce the pressure on the rupee as well on inflation as India's oil bill will drop substantially. A drop in oil prices will lead to lower transport costs and lower inflation which will be a huge “feel-good” factor within the economy. That is a good enough deal since public memory is quite fickle and this whole “sell-out” to the US will be a largely forgotten story by the time voting happens for the general elections in India around March-April 2014. People tend to look at current street prices, political sops, stability and strength of the government while voting rather than what happened six months ago. Besides this, honestly speaking, the nuclear liability issue is of little consequence for the vast majority of Indians who might in fact welcome such a deal as they believe that this would apparently give them more electricity! A large section of even the well-educated Indians still looks at Nuclear energy as a clean, safe and cheap form of electricity despite Fukushima. The BJP and Left may shout from the rooftops about the abject surrender to the US, but eventually at the hustings, that will make only a marginal difference – that too even at best. Another carrot which can be dangled to the Congress is that the US will support India for a Permanent Seat in the UN Security Council (UNSC). It is well known that this is a huge prestige and emotive issue for most Indians and any government which can (even falsely) promise that they will secure the UNSC seat will bag the popular votes. In fact, the BJP may well be willing to dilute the Nuclear Liability clause for this carrot if it has a clear majority. In any case, the US knows quite well that the BJP is not such a bad enemy as is shown publicly. The US has a long and chequered history of supporting even the worst dictators and mass murderers for its own strategic and economic gains. The BJP is a sworn anti-Pakistan/anti-China party and hence the Indian defense budget will at worst remain stable and at best will grow further. This offers huge opportunities for the US in high tech defense sales. Apart from this, the BJP – for all its public posturing – is a pro industry, trader based party. Quite like the US, they are willing to talk business provided the quid-pro-quo is right. They are certainly not in the leftist/socialist mode as the “development” model of Gujarat has shown over the past decade. The US knows that its trade interests will be taken care by the BJP if the right carrots are dangled to it – the sweetest being the permanent seat at the UNSC. Helping get BJP into power is also beneficial to the US in another way. If the UNSC carrot is accepted by the BJP and it agrees to dilute the CLND Act for the Americans, the Congress party would have no leg to stand on in the Parliament as they have themselves attempted to do the same. In short, the US is in the supreme position to call the shots while the Congress squirms uncomfortably, The Congress knows fully well that if the BJP wins close to an absolute majority in 2014 - on the back of US pulling the rug - the BJP can well last for one or even two terms. Already marginalized and with no charismatic leaders in sight, the Congress can ill afford this political wilderness. It is perhaps this fear that is making leaders in the ruling party take this self-destructive path of diluting the nuclear liability. With its back to the wall, the Congress can only make a deal with the US and to fight another day. Else it is curtains for Congress circa 2014.